Some journalists recently worked out that Apple was launching a primary healthcare service for its employees in Spring 2018. The evidence was compelling; notifications to its current providers that Apple was scaling back or changing providers, job adverts for doctors and other healthcare professionals that linked back to “AC Wellness” which appears to be an Apple company and a “decline to comment” from Apple. For several years, large employers in several countries have set up their own clinics for their employees and sometimes also include the employee’s family in the cover. Their logic is simple. Provide local, dedicated services for your employees and you reduce time off for appointments, the cost of health insurance, speed up care and return to work and, in some cases, even have a better understanding of whether the employee is as unwell as they claim! Apple certainly is large enough to have its own in house primary care medical services. 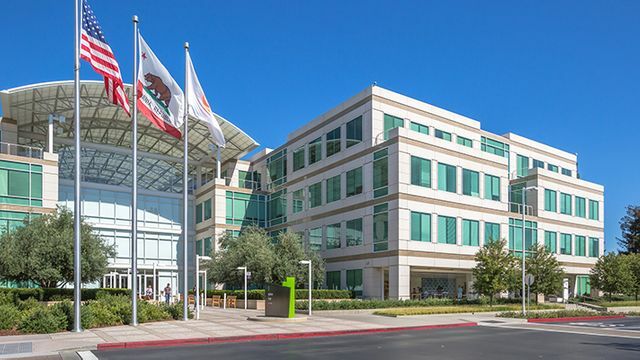 With 115,000 employees worldwide and most in the US it would be justification enough but, it seems, Apple are also going to cover employees’ families which means the total headcount will be much larger. So why were the journalists so excited by their ‘discovery’ of Apple’s plans? Reporters made the link between Apple’s initiative and the recent announcement of a joint venture between Amazon, Berkshire Hathaway and JP Morgan who announced they would be self-insuring their combined staff and their families. The suggestion is that Apple are following that trend. What seems to have been missed, however, is that this may just be a stepping stone to something bigger. Looking at the job adverts for AC Wellness it appears they are not only looking for doctors and care managers. They also mention “stunning state-of-the-art medical centers”, lab tests on site and exercise coaches. Whilst all of this is useful for a well-run medical service for Apple’s staff and their families, is it also possible they have an eye on an even bigger prize? Another deal recently announced was CVS’s purchase of Aetna for $69bn. The deal created a more holistic approach to care and cost management and followed the model operated by UnitedHealth. Primary care, lab tests and pharmaceuticals would be available through CVS retailers with insurance underpinned by Aetna. Apple may be setting itself in position to build the same model from scratch except for one major difference. CVS Aetna and UnitedHealth are the big, established players in the healthcare field but Apple is one of the foremost technological companies in the world and has very deep pockets. As such, Apple can not only take advantage of the huge technological advances that are making care better, cheaper, faster and less labour intensive, but it can actually lead the way. If it adds insurance expertise to its technological strength and developing medical experience it will surely become a major challenge to the likes of CVS and UnitedHealth. SCOOP tonight if you're still up!